Nurses were yesterday advised that life is more important than money. 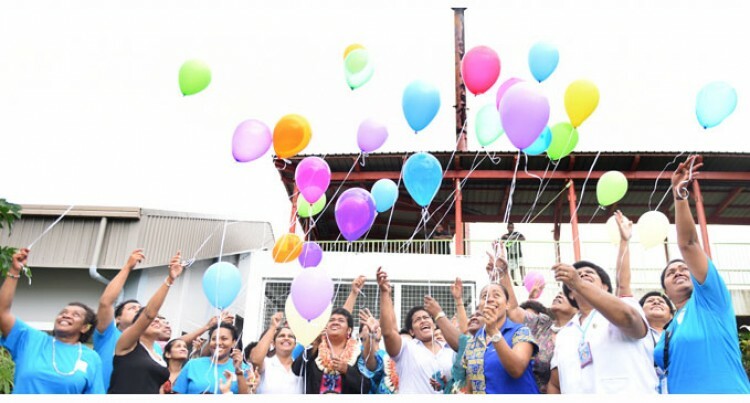 The advice was given by the director of nursing, Silina Waqa-Ledua during the celebration of International Nurses Day at the Colonial War Memorial Hospital in Suva yesterday. The day was set aside to remember and celebrate the work of nurses around the world. “Nurses let me remind you today that we are part of a very noble profession and I urge everyone to uphold this with dignity. However, Fiji nurses have to choose between money and passion between job and calling,” Ms Waqa-Ledua said. “Change is within your reach and the forces to make changes are now or never,” she said. With the theme Nurses a force of Change – Care effective, cost effective chief guest, Litiana Kuridrani also reminded the nurses about the importance of good, strong practical leadership at all levels. She also reminded them to be role models like the founder of the profession and mother of nursing, Florence Nightingale. “As nurses make up 62 per cent of the total health workforce, we can assume a strategic role in being the force required to change, promote, spearhead and influence the delivery of quality service that is cost effective and care effective,” Mrs Kuridrani said. “I believe nursing is strategically placed with its evidence – based information and skills to advice and convince policy makers and health budget controllers to invest in treatment and care regimes,” she said. International Nurses Day is celebrated on May 12 annually, marking the anniversary of Florence Nightingale’s birth known as the Lady with the Lamp and the founder of nursing.